The content of the article: who is next? 1. Deep Brain Chain (DBC) – cheap artificial intelligence for everyone. 2. SONM (SNM) – fast exchange of large amounts of data. 3. Nebulas (NAS) – the first blockchain search engine platform. 4. MyWish (WISH) is an easy way to manage smart contracts. 5. The Mercury Protocol (GMT) – an instant messenger which pays tokens for being active. 6. 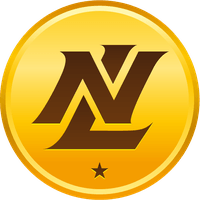 Nolimitcoin (NLC2) – token-betting on fantasy sport. 7. PIVX (ex darknet DNET): complete anonymity is everything. 8. Oyster Pearl (PRL) – secrets of a reliable cloud and free content without ads. 9. Nuls (NULS) – blockchain can be simple and accessible. 10. Loopring (LRC) – convenient tool for the trader. Deep Brain Chain (DBC) – cheap artificial intelligence for everyone. DBC is one of the most interesting and promising cryptocurrency in 2018 according to experts. The Deep Brain Chain (DBC) is based on NEO blockchain and represents AI, a private decentralized computing platform. On the AI platform basis you can develop applications that analyze voice, graphic, text and other inputs, as well as applications for voice interaction. Thanks to the provided computing power of the platform, the use of artificial intelligence significantly reduces the cost of developing applications and helps to save on expensive equipment for cryptocurrency mining. Why should I buy DBC? Prospects for development (rise in demand for AI). Where to buy: KuCoin, Gate. SONM (SNM) – fast exchange of large amounts of data. Developers present the project of a cryptocurrency as a supercomputer that allows using its resources for data exchange between devices for a low price. Some experts believe that such platforms are the future of development of data exchange technologies. Thanks to the computer power, users can cheaply organize video broadcasts, perform video rendering, use hosting, conduct scientific researches that require large capacities, and place game servers. Why should I buy SNM? Prospects for the development of online services. Cheap and decentralized computing power of online services. Where to buy: KuCoin, Binance, OKEX. Nebulas (NAS) – the first blockchain search engine platform. The project Nebulas – a decentralized search platform for blockchain projects and smart contracts presents the NAS cryptocurrency. The platform is divided into three parts: Nebulas Rank (NR), Nebulas Force (NF) and Developer Incentive Protocol (DIP). NR is rating, analyzing and ranking blockchain projects and smart contracts for the most priority technologies. NF improves, finalizes the platform, and prevents forks. DIP is a financial reserve to attract specialists. In simple words, the platform allows you not to get lost in countless projects based on blockchain and choose the right technology. At the same time Nebulas is constantly being improved and allows projects to get feedback from users. The NAS currency is the paying method on the platform. Prospects for the growth of the cryptocurrency define the growth of NAS. Why should I buy NAS? Nebulas is the first search platform for blockchain projects and smart contracts. The project is interesting to developers (open source), which will provide demand for internal currency. The system is self-developed, remaining modern and relevant. Where to buy: Huobi, IDEX, OKEX. MyWish (WISH) is an easy way to manage smart contracts. MyWish solves many problems associated with smart contracts. Thanks to the platform, the process of creating smart contracts becomes much cheaper and technologically easier. With its help, you can even manage crypto assets such as bitcoin, lightcoin and ether. And thanks to Joule’s unique technology, smart contracts can be easily called throughout their lifecycle. Why should I buy WISH? Allows you to accompany contracts from creating to closing. Makes the process simple and convenient. Third-party developers can create and add their own contracts. The Mercury Protocol (GMT) – an instant messenger which pays tokens for being active. 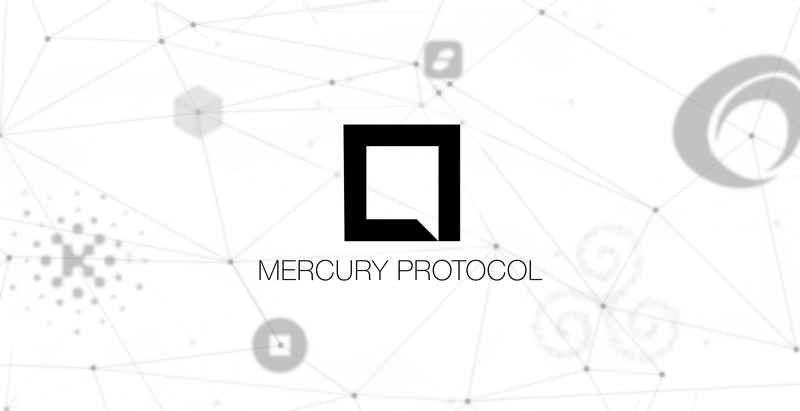 The Mercury Protocol (GMT) is a representative of a decentralized social messenger network based on the blockchain. This allows you to make the messaging between users safe, private, and the network itself. There is an internal ecosystem in which users receive the GMT tokens for being active. Tokens can then be spent on the purchase of premium services – messaging between different messengers, sending large files, encrypting messages, publishing ads for the target group, comments, sympathies, etc. Why should I buy GMT? Great popularity of instant messengers. Ability to receive tokens for being active. Purchase premium services by communities for tokens. Nolimitcoin (NLC2) – token-betting on fantasy sport. A project cryptofantasysports, which allow users to bet on a fantasy sport, presents the Nolimitcoin cryptocurrency. Recently, this intellectual game has become very popular in the US and Europe: every sixth citizen in America plays it. The bottom line is that users are recruiting a virtual team of real sportsmen (for example, in fantasy football and fantasy hockey), focusing on their achievements in sports. They judge teams by how each player played in a real game. The winner receives a prize of a unique internal cryptocurrency NLC2, which was betted. Why should I buy NLC2? Work on a huge market: just imagine, a sixth of the US population. The constantly growing popularity of the game. Great interest of the gaming community to the cryptocurrency and platform. Transaction security due to internal cryptocurrency. The coin has a real use. PIVX (ex darknet DNET): complete anonymity is everything. Which currencies should be invested in 2018? The answer is PIVX is exactly worthy for your cryptocurrency portfolios. Earlier this cryptocurrency was called darknet. And it is the fork of DASH, having combined all the best from DASH and BTC. Therefore, PIVX is very promising cryptocurrency in 2018. PIVX has become not just a promising anonymous cryptocurrency, but also gained a large community of Internet privacy admirers, proclaiming the importance of decentralization, independence, lack of government pressure and corporate influence. The coin can be mined, receiving fair rewards. Why should I buy PIVX? Developed and maintained by a large community. Has an improved protocol of blackcoin. Minimum inflation of 4.8% per annum. Where to buy: Binance, Bittrex, Livecoin. Oyster Pearl (PRL) – secrets of a reliable cloud and free content without ads. Ad blockers are being installed by more and more users, because besides that advertising becomes an eyesore and interferes with the grasping the information but can also cause phishing or virus on the device. Blockers become a problem for site owners, because they do not earn on advertising, but not all users can be forced to pay for content. The creators of the Oyster project came to a solution to these problems through a protocol based on the Ethereum blockchain. The bottom line is that the built-in Oyster code blocks content for readers, offering them to unlock it by sharing the computing power of the device for mining of the Pearl token, which can then be sold for Ethereum. The site owner gets tokens, thus earning on user traffic without annoying advertising. Another advantage of Pearl is that you can safely store your data in a cloud for tokens. Files uploaded to the storage are splited into component parts without the ability to pull them out by hacking and connect when the user enters the cryptographic key. Thus, the Oyster creators also provide users with reliable cloud data storage. ICO was completed in 2017, then 63 266 926 PRL was issued. For the entire period of the auction, the price from three cents increased to $ 1.62. Why should I buy PRL? Internal transactions are supported by the Tangle IOTA protocol. Perspective for the development of Internet projects. Lack of advertising and free content for users. Nuls (NULS) – blockchain can be simple and accessible. Nobody doubts the benefits of blockchain; however, many promising projects simply cannot get developed because of the structure complexity and the high requirements for developers’ knowledge. Nuls with internal currency faces these challenges. Nuls makes it possible to significantly simplify the use of blockchain technology, make it more flexible and improve the flow of traffic, offering an improved version of technology. Using Nuls smart contracts can be applied in everyday life. Why should I buy NULS? The project simplifies the use of blockchain technology. Blockchain popularity leads to quality improvement of technology. Where to buy: KuCoin, OKEX, Binance. Loopring (LRC) – convenient tool for the trader. We were saving this for last: the decentralized trading platform Loopring, which will protect your crypto finances from bankruptcy, scam exchanges, DDOS attacks on the server and fraudsters. The trick is that the cryptocurrency assets are not located inside the exchange, but on the smart contract in the blockchain. Loopring technology breaks the chain into separate fragments, determining the most profitable rate and time for selling each fragment. This gives the trader liquidity higher than for centralized exchanges, because orders are placed simultaneously on different sites, while the finance is always under the control of the owner. The LRC token is intended for internal operations on the platform. Answering the question, which cryptocurrencies will grow, let’s say LRC very likely will. Why should I buy LRC? Finance security for the traders. Automated system for selling fragments of the chain at the best price. Where to buy: OKEX, Binance, Bittrex.